Welcome to the July 28, 2017 edition of ACM TechNews, providing timely information for IT professionals three times a week. Chinese researchers have produced the largest virtual universe on Sunway TaihuLight, the world's fastest supercomputer, using 10 trillion digital particles. The simulation beat the scale of the previous European record-holding model universe by a factor of five. Gao Liang at the Chinese Academy of Sciences says Sunway employed 10 million central-processing unit cores, running multiple instructions on each core to accelerate calculation. Gao also notes Sunway remained stable at its peak performance. Sun Yat-sen University professor Lin Weipeng says Sunway's physical architecture and its home-grown chip required Gao's group to write most of the software from the bottom up. However, the Sunway simulation could only be maintained for about 60 minutes, while the University of Zurich in Switzerland's universe model ran for 80 hours. Still, Lin says the achievement is a significant milestone, one that "will allow China to take full advantage of its hardware superiority and stay on top in the [supercomputing] race." 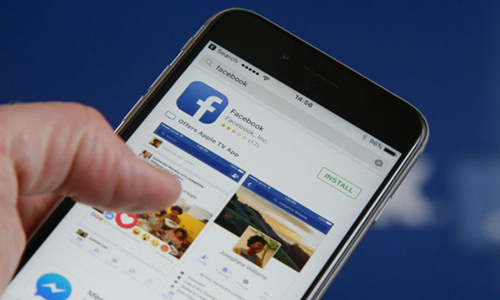 Artificial intelligence firms can use combinations of social media users' interests, demographics, and survey data to direct online campaigns at individuals based on their agreement with ideas and policies, according to a new study from researchers at the University of Bath in the U.K. and the Online Privacy Foundation (OPF). "The weaponized, artificially intelligent propaganda machine is effective," says OPF researcher Chris Sumbner. "You don't need to move people's political deals by much to influence an election, just a couple of percentage points to the left or right." Although it is still unclear how much this strategy can permanently change people's views, the study demonstrates a form of political campaigning lacking in checks and balances. The research team organized four experiments to gain more insights into psychographic targeting online. They strongly suggest the foundation of new institutions to audit the algorithms used for political targeting. Researchers at Ben-Gurion University of the Negev in Israel led an international team in the development of a technique that combines robotics and water to create more accurate three-dimensional (3D) scanning for reconstructing complex objects than with conventional methods. "Using a robotic arm to immerse an object on an axis at various angles, and measuring the volume displacement of each dip, we combine each sequence and create a volumetric shape representation of an object," says Ben-Gurion professor Andrei Scharf. The researchers used Archimedes' theory of fluid displacement to convert the modeling of surface reconstruction into a volume measurement problem. Scarf says the team has demonstrated the new technique on 3D shapes with a range of complexity, indicating the dip reconstructions are almost as accurate as the original 3D model. The researchers will present the findings at the upcoming ACM SIGGRAPH 2017 conference in Los Angeles. Hackers at the DefCon convention announced they will attempt to compromise more than 30 voting systems used in recent elections this weekend to determine whether fears of election tampering by malefactors are justified. DefCon founder Jeff Moss says the experiment is motivated by the idea to "start hacking on [the machines] to raise awareness and find out for ourselves what the deal is. I'm tired of reading misinformation about voting system security." A lack of forensic investigations of voting machines due to bans on such probes by vendor contracts is seen as a warning sign. The DefCon team will probe the network linking the machines, and physically try to alter them and penetrate their hardware. Overseeing the initiative are University of Pennsylvania professor Matt Blaze and Finnish computer programmer Harri Hursti. "My hope is that we'll see a broadening of the community of people interested in improving the security of our election system," Blaze says. The Obama administration-era CSforAll initiative to broaden computer science education in U.S. schools nationwide has transitioned into the CSforAll Consortium under former U.S. Office of Science and Technology Policy adviser Ruthe Farmer. Little support for the $4 billion initiative from the Trump administration and Congress has spurred agencies such as the U.S. National Science Foundation, private organizations, and activist groups to take the lead and contribute resources. The CSforAll Consortium will bring together about 300 computer science educators, researchers, activists, nonprofits, and industry partners for the second annual Summit on Computer Science for All, to be held in October at Washington University in St. Louis. "This work of getting computer science to all kids, I think, is a bipartisan issue, and everyone agrees that we need to upgrade our educational system for a changing economy," Farmer says. "That's a no-brainer." Security researchers at the Black Hat conference in Las Vegas disclosed a cryptographic defect in the protocol used in 3G and 4G LTE cell phone networks enabling mobile devices to link with the cell operator. 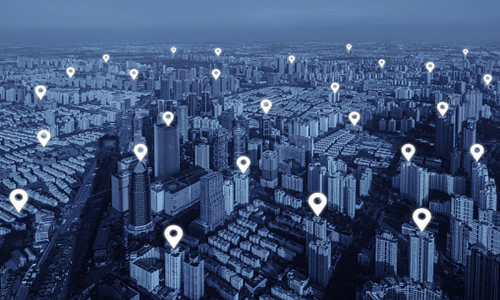 Ravishankar Borgaonkar and Lucca Hirschi say the flaw can facilitate low-cost cell phone surveillance and location tracking. The researchers note the authentication and key agreement, which lets a phone communicate securely with the subscriber's cell network, bears a weakness in the counter stored on the phone operator's systems. The leakage stemming from this weakness enables attackers to monitor consumption patterns and track the physical whereabouts of a mobile phone. The researchers warn the bug could clear a path for next-generation cell site simulators, or stingray devices. "Due to low-cost hardware and software setup, we would not be surprised to see criminal stalking and harassment to more mundane monitoring of spouse or employee movements, as well as profiling for commercial and advertisement purposes," Borgaonkar says. Researchers at Disney have developed the "Magic Bench," a combined augmented and mixed reality experience in which multiple users experience virtual surroundings as a group, without using head-mounted displays or handheld devices. Users seated on the Magic Bench can see themselves in a mirrored image on a large screen, creating a third-person point of view. The virtual scene is reconstructed using a depth sensor, enabling users to occupy the same three-dimensional (3D) space as a computer-generated character or object. "This platform creates a multi-sensory immersive experience in which a group can interact directly with an animated character," says Disney's Moshe Mahler. The system uses a color camera and a depth sensor to create a real-time 3D reconstruction of the bench, surroundings, and participants. An algorithm then reconstructs the scene, aligning the camera information with the depth sensor information. The researchers will present the Magic Bench at the upcoming ACM SIGGRAPH 2017 conference in Los Angeles. Researchers at the Queensland University of Technology (QUT) in Australia conducted several studies analyzing successful entrepreneurs and CEOs' tweets to better understand their thinking. The researchers employed a computerized scientific method of analyzing digital footprints to decrypt the personality profiles of 106 business leaders, including Elon Musk, Bill Gates, Rupert Murdoch, Oprah Winfrey, and President Donald Trump. QUT professor Martin Obschonka says the researchers used machine learning and other computer science methods to analyze characteristic language styles, content, and patterns that together can reveal valid information on a person's personality profile. In one study, the researchers compared the online personalities of the wealthiest entrepreneurs with those of the most powerful CEOs. In another study, the team focused on Trump, and found he exhibits stronger features of an innovator personality than the other influential business leaders, although he also was lower in agreeableness. Google Research has developed a new computer algorithm called Optometrist in collaboration with Tri Alpha Energy. The algorithm facilitates integrating high-powered computation with human judgment to find new and better solutions to challenging problems in nuclear fusion. Optometrist has substantially accelerated experiments with plasmas, with researchers realizing a 50-percent reduction in energy losses from Tri Alpha Energy's C2-U system and a subsequent boost in total plasma energy. "We boiled the problem down to 'let's find plasma behaviors that an expert human plasma physicist thinks are interesting, and let's not break the machine when we're doing it,'" says Google researcher Ted Baltz. "This was a classic case of humans and computers doing a better job together than either could have separately." With Optometrist, the researchers found a configuration in which the hydrogen beam fully balanced the cooling losses, so the total energy in the plasma actually climbed after it formed. Researchers at Purdue University have developed SurfNet, a technique that uses machine learning to create three-dimensional (3D) shapes from two-dimensional (2D) images, such as photos, and also can create never-before-seen shapes. "If you show it hundreds of thousands of shapes of something such as a car, if you then show it a 2D image of a car, it can reconstruct that model in 3D," says Purdue professor Karthik Ramani. The system also can take 2D images and create a 3D shape between the two. Ramani says when fully developed, SurfNet could have significant applications in the fields of 3D Internet searches, robotics, and autonomous vehicles. In addition, SurfNet could be used to create 3D content for virtual reality and augmented reality using standard 2D photos. The technique also permits greater accuracy and precision than current 3D deep-learning methods that operate more using volumetric pixels. Researchers at the University of Surrey in the U.K. have developed a way to make phosphorus atoms "dance," a breakthrough they say could pave the way for reliable quantum computers. The researchers manipulated atoms of phosphorus with silicon crystals, controlling their shape and size and "making them dance." Most quantum computers have been made using materials that are not mass-produced, often using atoms suspended in a vacuum, but the Surrey researchers are working with technology with single phosphorus atoms trapped inside crystals of silicon. Their method, called "surface code" quantum computing, involves placing many atoms in a fixed grid and using the "dance motion" of the atoms to control how they interact. 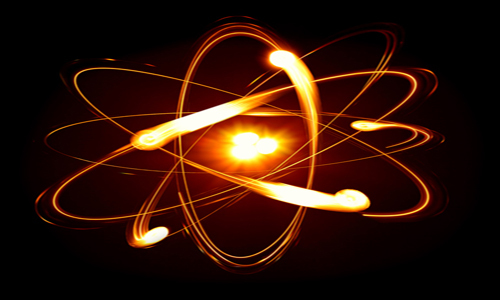 The researchers plan to utilize the dancing atoms to make "gates" to control when and how the quantum computer works. "Our advanced control will help make our quantum computers more reliable even if they occasionally make mistakes," says Surrey professor Ben Murdin. 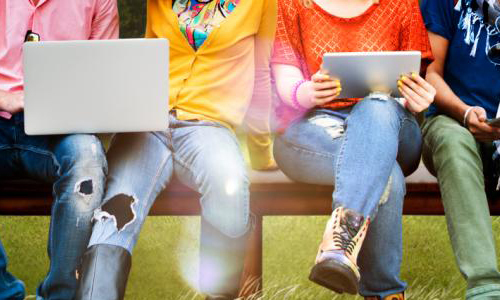 To address young women's anxieties about entering science and technology fields, whose workplace cultures are often rife with sexism and discrimination, organizations such as Girls Who Code and VMWare offer mentorship and educational opportunities from other women who are more established in the industry. One recent example is the CodeHouse programming workshop hosted by VMware, which challenged 20 participating college students to develop technical solutions designed to improve the tech industry's diversity. VMware's Sanjay Poonen says entering the tech industry is by itself an act signaling that women can change its culture for the better. "We have to surround every bad example with nine, 10 good examples--examples of young women, young leaders doing well and being treated fairly," Poonen notes. "I want these women to go on and inspire another generation of young girls, like my 11-year-old daughter. That's when we'll start to see a change." 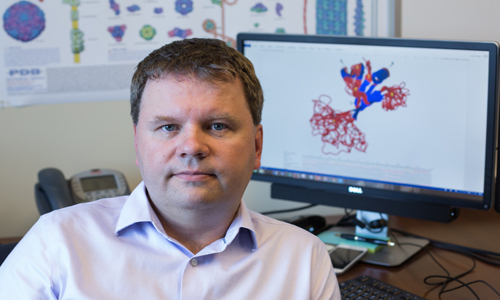 Virginia Commonwealth University professor Lukasz Kurgan has developed an array of bioinformatics programs designed to help biologists gain insights into the functions of intrinsically disordered proteins. Kurgan has created four programs since 2008 that utilize predictive models to generate workable hypotheses about protein function. In addition, Kurgan has developed six programs designed to determine whether a protein is or is not disordered. Kurgan's programs employ existing datasets on proteins whose functions have been determined to construct predictive models in order to map the functions of unknown intrinsically unstructured proteins. "We have manually curated but understand less than 1 percent of these proteins, and right now there's over 80 million to solve," Kurgan notes. "A program can solve these proteins faster than a single human and can help researchers speed up hypothesis generation." Kurgan's team also has received a $500,000 grant from the U.S. National Science Foundation to develop additional programs.